This is a cake we are currently doing at work which I had a recipe for. I can’t remember where I got the recipe from as I forgot to write it down. It is really rich and dense and of course VERY tasty. The recipe didn’t have any icing or topping so I added a nice layer of chocolate ganache just to push it over the edge or extravagance. 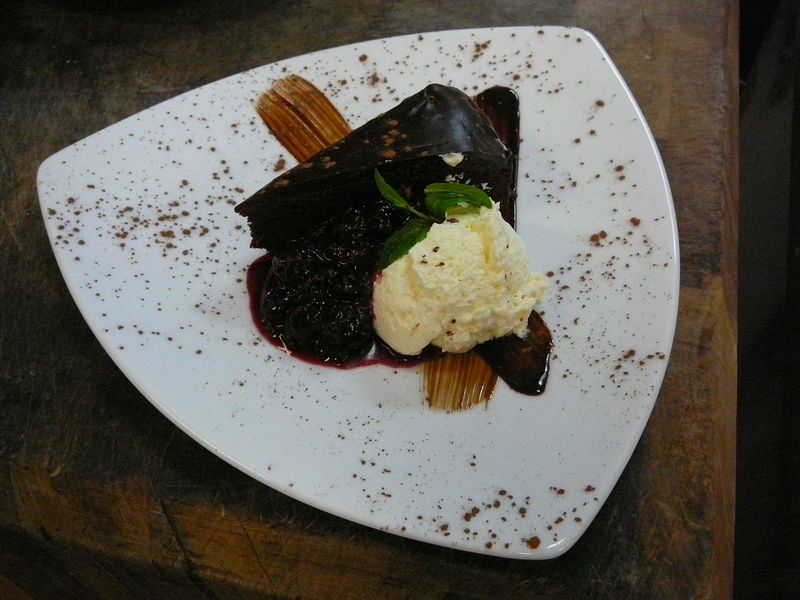 If you don’t know what ganache is we use a mix of equal parts cream and couverture chocolate. Bring cream to a simmer and then pour it over the broken up chocolate until it all melts together. You can use it runny as a great sauce for desserts or ice cream, or when it cools but is still runny pour it over a cake. Once it sets you can also roll it in to balls and then roll in cocoa. 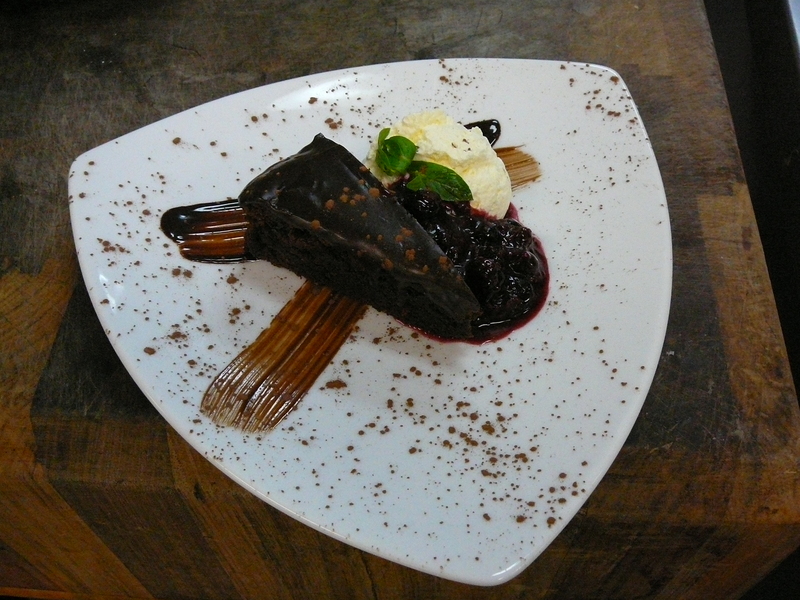 We serve it with some berry compote that we make and customers choice of cream or ice cream(I prefer cream). As we get a few coeliacs in this is great for them to have.